As my old giraffe hat was tired, too small, and wasn’t very pretty, I enlisted the help of my begrudging mother to help me make a new, fantastic giraffe hat. My mum wasn’t impressed with this request. 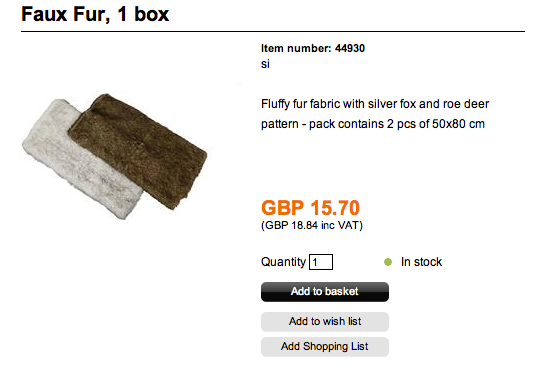 I got some lovely fake fur online that sold fur in packs of two, one sheet brown, one sheet white. Not sure what I’m going to do with the white fur yet, perhaps make a fantastic winter cape with fur trimming. The style for the new hat would be a direct copy of the old one, just everything would be bigger to address the main issue I found with the hat. It just didn’t fit anyone correctly. With the old hat, when you put it on it never really covered the back of your head. It just kind of sat on top of your head looking like it was about to fall off. I mean just look at adam wearing it, see how it barely fits his head? Now Adam doesn’t have an unusually large head, so this was a problem to me. And it also became apparent that just about anyone who tried to put it on found it difficult to do so with the constraining nature of the old hat. 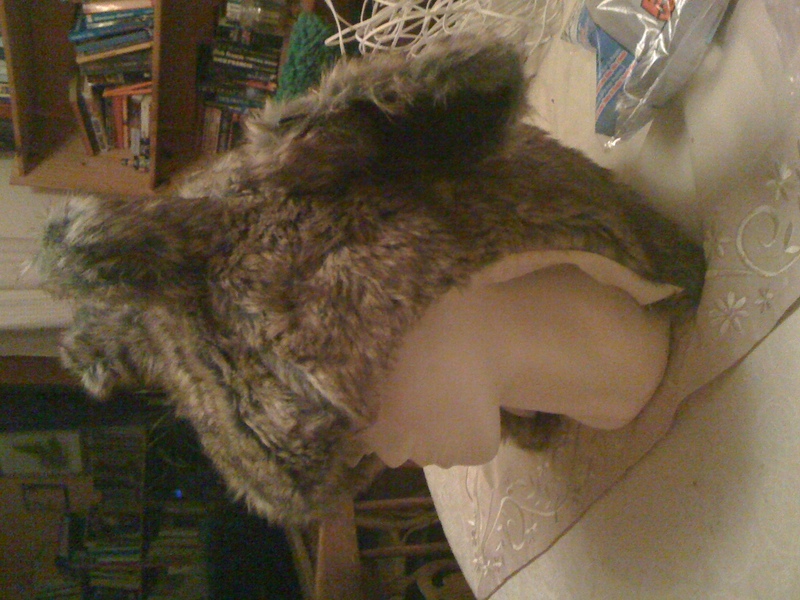 So, my mum, myself and my dad sat around cutting up fur and making each pannel from the old hat about an inch bigger on all sides. This seemed to work a treat and it all came together nicely. 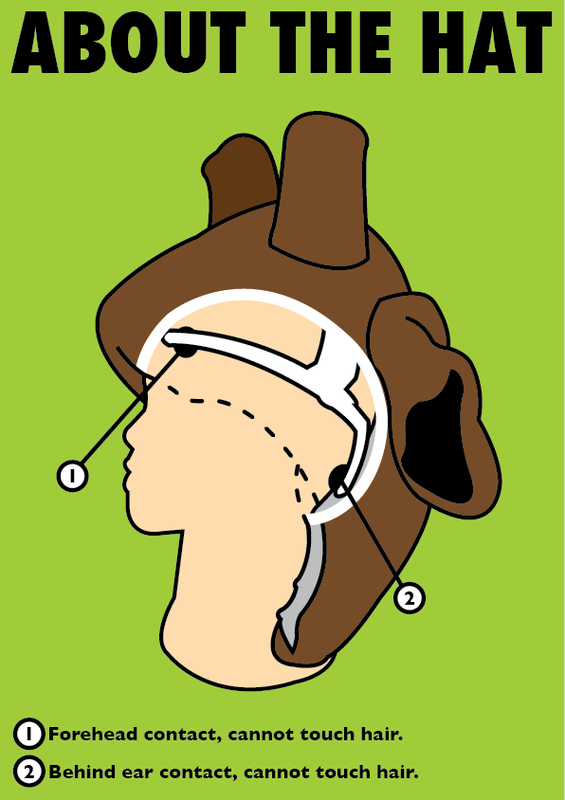 To fit the headset inside, there are some simple tabs with velcro on them holding it in so it can be taken out easily if needed. The new hat also accomodates the headset more, having the fact that its main purpose is to hide the headset in mind when designing the gat this time. Under that hat, I am wearing the headset, and no one would know! Fantastic. It does exactly the job I set out for it to do. Plus, it looks more like a giraffe this time. Vaguely. In the rough area of the zoo which holds giraffes. Plus, you dont look at all foolish while wearing it, bonus. Here’s a side by side of the old hat vs the new hat. Quite a remarked change there. Mainly the horns, the horns are big now. That’s entirely on purpose, the old ones were tiny and stopped it looking more like a giraffe, now the are bloomin’ huuuuuge! Then I got to thinking, how are people gonna know how to put on the hat and the contacts and everything. I mean, without me standing there explaining. I know, a visual sign! I knew just the look I had in mind, a cut away diagram. With the help of google, I found one that really gave me a visual style to homage. 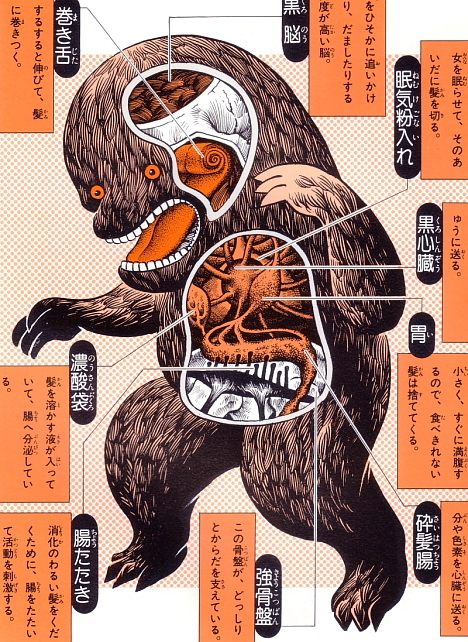 I’m not entirely sure what’s going on here, but I just like the way that white band is used to signify a cutaway. It’s a nice little visual clue that suggests something is beneath the surface. 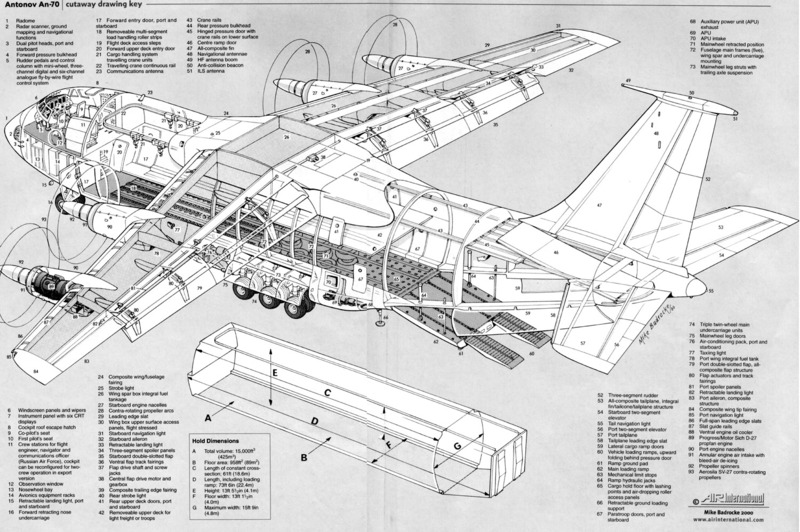 Also, there are images like this which are nice little illustrated diagrams. They look like instruction manuals and are very clear about what’s going on in the diagram. Also, numbering and lettering things for a more detailed explanation is nice. I think it does a good job of looking visually interesting whilst also being informative. I just needed to get across where the three contacts go, and that they must not be touching hair to work. I think that pretty much covers it in that nice little diagram there dont you? 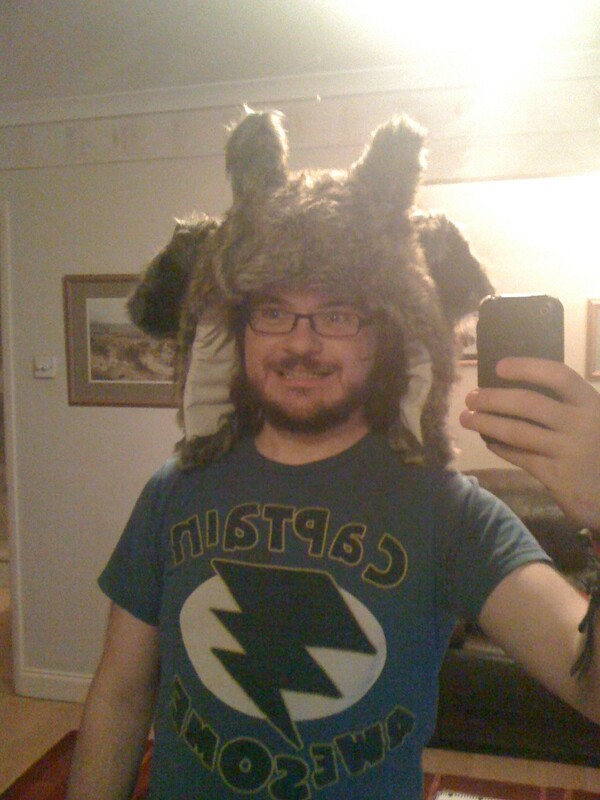 This will be on display next to the hat, instructing people how to wear it. I will also have a little card saying “put on the hat” or some variety, just so its clear that the hat is there for people to wear it, not just look pretty. One of the coolest projects I have seen with mindcontrol in a while. 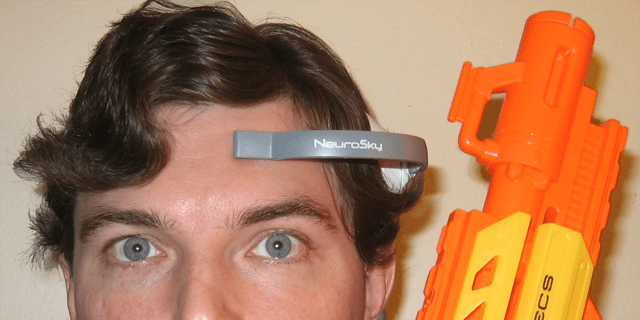 Someone hooked up a nerf gun to the neurosky headset + arduino so that when you concentrate hard enough, you fire a bullet from the gun. God dammit, that’s so cool. Why didn’t I do that first? Wow it’s so awesome. That’s such a crazy idea, but one that’s been around for ages. I need to start doing stuff like this because it’s awesome. Controlling physical things with though is aces. I’m so doing that mind controlled car thing after uni is done. It’s so inspiring to see stuff like this being done, it’s quite crazy really. The whole system is really simple, hook up some electronics so you fire a nerf gun with an arduino switch, hook that up over a bluetooth unit so it’s wireless, hook that up to arduino and then process the thought control. I’m glad I got my mind control lights working in the end because controlling a physical thing with mind control is just awesome. I’m annoyed with myself that I didn’t make a bigger thing of it, why just lights? Why not something else. I could have done so much with this, but now I feel a bit disappointed that I’m not controlling lots of silly things with thought power. MIT making fan boys dreams come true. And everyones arms really sore in the process. One of my new favourite toys is the Kinect. It’s ability to track the human form and indivual parts of the skeleton like hands and even fingers in some cases, is utterly mind blowing. It’s something that myself and my tutor Adam Martin have been wanting to do for years now but have had to make do with the pathetic on comparison attempts that a humble webcam can offer in return. Many years ago, Steven Speilberg had a dream, that dream was to give every geek in the world huge biceps and the an entirely gesture driven computer interface. Now, in 2011, that dream has finally been realised. There are so many problems with the basic idea behind a gesture driven interface. Mainly the fact that the average persons arms get tired of holding themselves up after a few minutes. But, the ability to track the human hands and form isn’t silly at all. Having a way to interface between the human body and how it is reacting to something that’s infront of them is very handy indeed, especially for interactive artists. Now we can create very passive interfaces that just sit in the background and help out in daily tasks. Like my previous post about mind control, my stance is that these interfaces should be very passive and should never be the main input. These things just arnt built for the main input since they require a lot of stress on parts of our body that we just do not use enough in that way to put stress on. Keyboard, mouse and touch is what is tried and tested. Thats fine, we as humans need that physical reaction of touching things. We need to be able to know that we have done something right, and the fact that we get the feedback through button clicks and screen taps is that little psychological buzz that rewards us when we do our daily computing activities. Waving our arms around like fools just doesnt provide us with this same level of biological feedback and so cannot be used as a reliable, everyday input. It can be used in exhibitions, large spaces and performances. A stage performance where you move you hand and lights are focused where you point is like magic. Magic and wonder keeps our imagination alive. Anyway, MIT have come up with a way to use the kinect to track finger gestures to control a computer interface, just like in the film Minority Report. 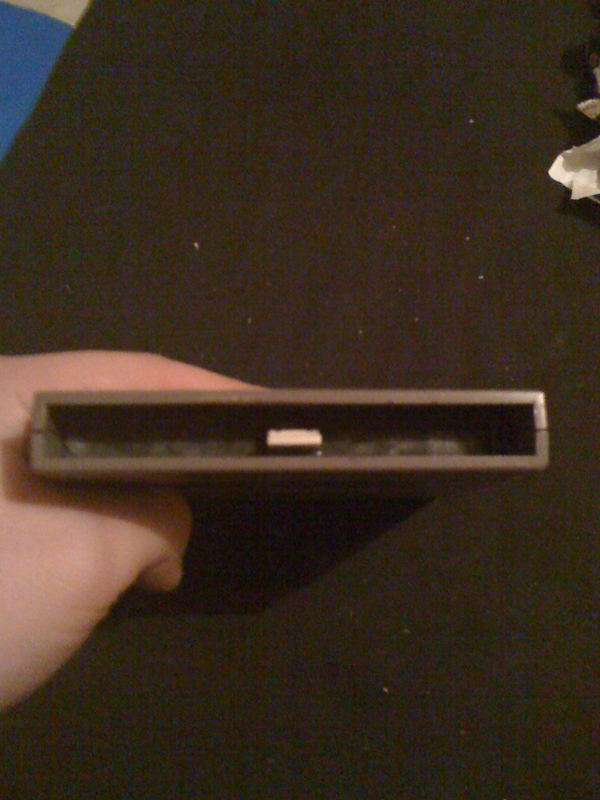 This is a horrid use of the kinect and is just something that we need to get out of our geeky systems now so that we can all move on and actually do something half decent with this little black magic camera box that microsoft have brought to us. 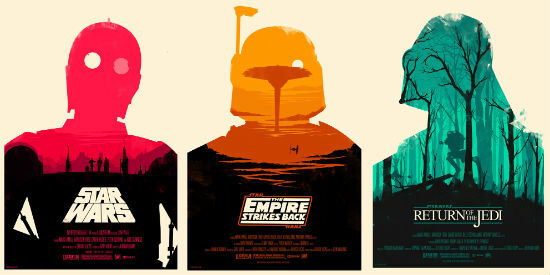 Come on guys, we can come up with better ideas than a nine year old sci fi film cant we? I mean we’ve moved on so much since then. I’ve been thinking a lot about how the physical side of my project is going to look recently. I started doing some designs for postcard graphics. My idea was to have artwork on postcards to hand out at the show for people to take home with them. The original idea was to have character cards, so that each card had a different character on them. 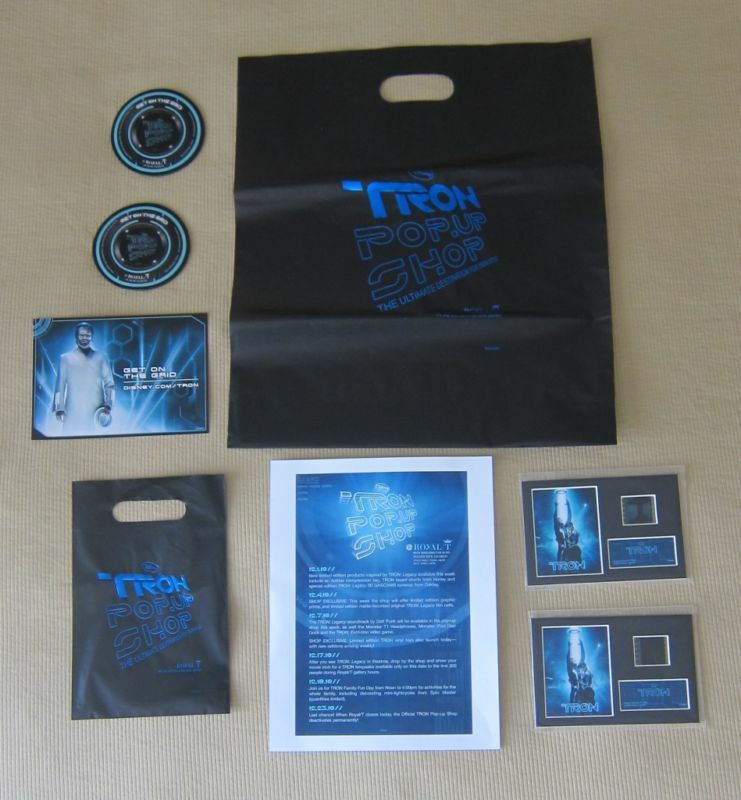 I started looking at retro art and the promotional material for Tron Legacy, they had some good artwork done for them. 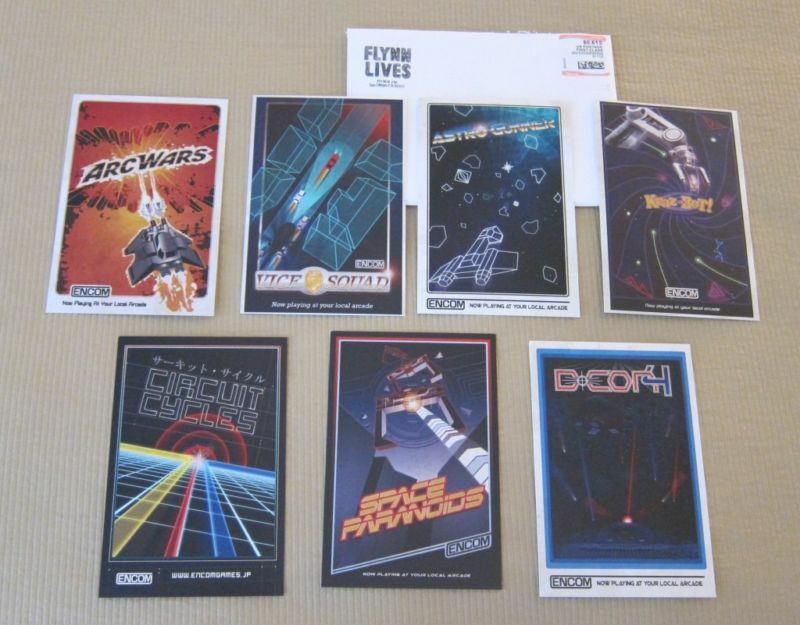 The cards were very 80’s looking and contained painted art to promote the fake games of encom. I wanted to do something a bit like this, so I had a go at doing a digital painting, but it wasnt very successful. 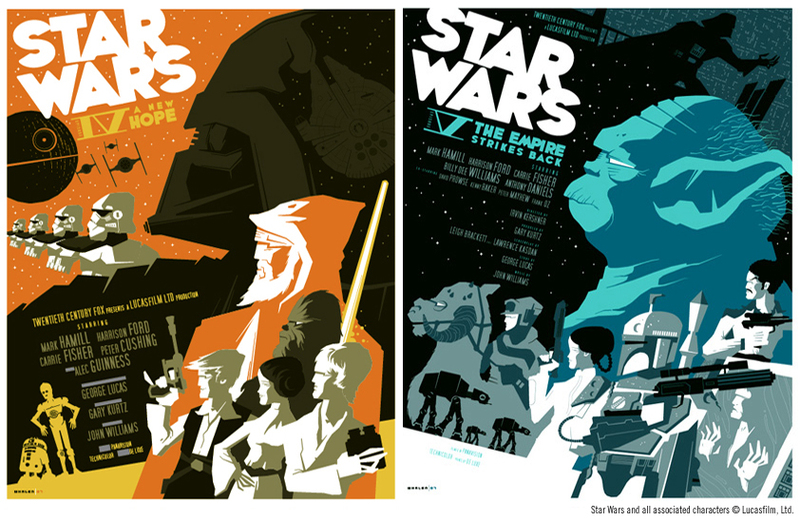 I was told about the artist Tom Whalen who does some very nice fan poster art for star wars and Olly Moss who also does fan art for star wars. 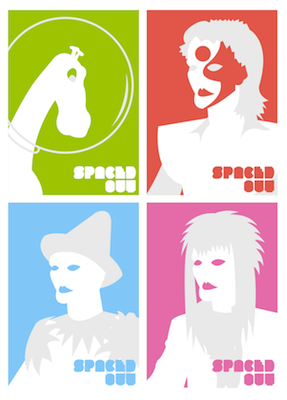 Their simplistic but bold style was something that inspired me. I really like how the posters also focus on individual characters, and this was something that I wanted to include in my promotional artwork. It’s all about the characters anyway so, I thought that drawing inspiration from these artworks and style would result in some nice work. So I went and did some art along those lines. I came up with this. I think this is pretty nice, and works well as one big poster with the four characters in them as well as individual card prints. I think I will be continuing this style for the booth art and other promotional materials. A while ago, I thought I had the highscore list for this game sorted. I wrote the code for it, got it looking alright and had it implemented as a working part of my game. Then I introduced the kinect and suddenly nothing it didnt work and it was too hard to control. The kinect gives you a better method of interaction for my game, but it made data input harder. The problem with the highscore list is that it requires you to enter your name. Of course the best method of interaction for this is a keyboard, but thats not something I wanted to use. So, as I set about slowly debugging the highscore interaction to find out why it wouldn’t work, I got more and more frustrated and more inclined just to give up on it all together. Thats when I decided to rewatch some documentaries about arcade games to inspire me once more. 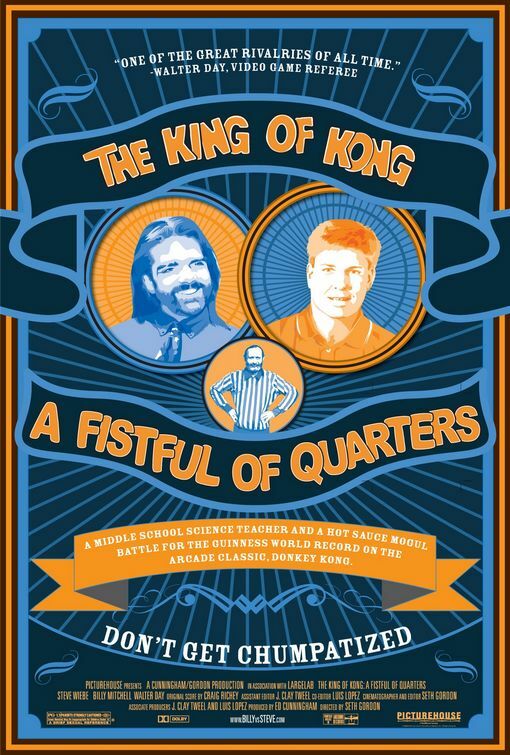 I watched two documentaries, The King of Kong and Chasing Ghosts. Both are documentaries about how the highscore list of an arcade game is very influential and a big part of what makes an arcade game. The documentaries both follow some of the best arcade game players in America who try to get the highest scores in their favourite arcade game. 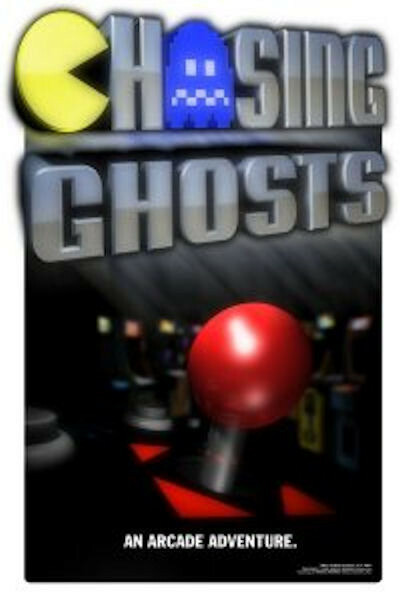 Chasing Ghosts talks more about the highscore culture and how having a highscore on a game made you a celebrity in that arcade. Not having a highscore list at this point would be very foolish of me, so I plugged on knowing that I was bound to find an answer. I had a thought, maybe I could replace the keyboard? Maybe I could replace it with a photobooth type thing. Instead of typing in a name, you would pose for a photo. But, as I was coding this, it turned out that this was even harder to figure out. Saving text locally and importing that data back in as a highscore list was one thing, but saving photos into an array and then sorting them was nearly impossible. I scrapped that idea and went back to the keyboard thought. It turned out that the hit detection wasnt working correctly. One of flash’s quirks I guess. I renamed every key instance name and it started to work again. Then I set about redesigning my current interface to be more kinect friendly. First of all, I noticed that there was trouble when it came to buttons being very close together. It made it hard to hit one button because the cursor would be hitting two. I fixed this by spacing the buttons out better, making them rounded so there was more space in between each key and then making the target area of the cursor in this screen smaller. With these changes, it was working a lot better. Although, this screen does not like having multiple hands up in the kinect at a time. 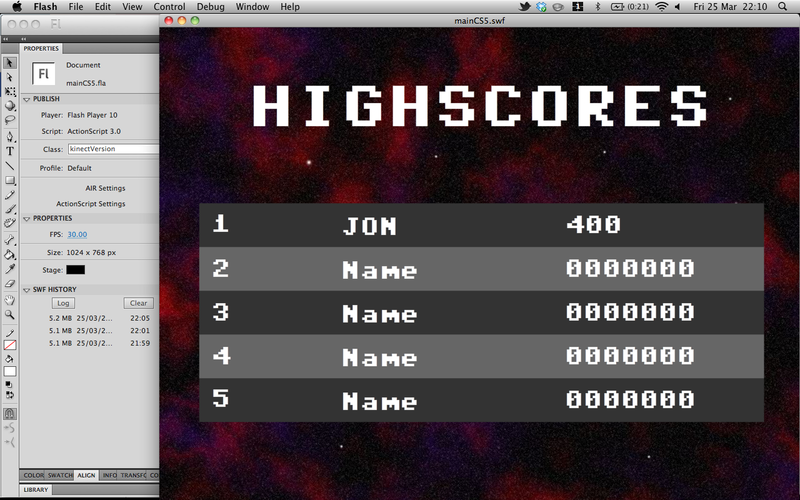 Well, now I have a working highscore screen again and it’s far more functional than it was before, plus it looks nicer. So isnt life grand. So, recently I had the thought that I could trigger my game being played in a neat little way. 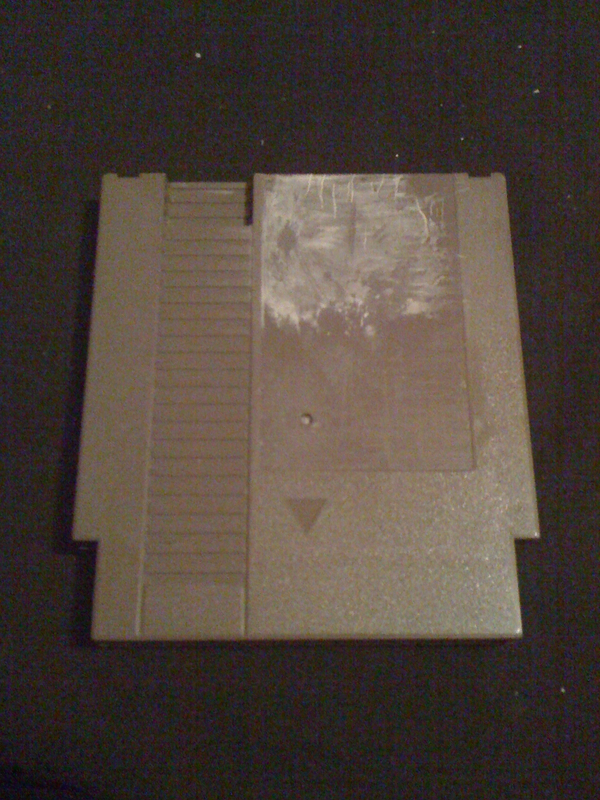 By popping in a NES cartridge. It all just seemed so stupidly silly and kind of magical that you can take some old tech and use it seemlessly with modern tech. And I thought it would be a fun idea if, when you plug in the NES Cartridge, the game loaded up and started playing, just as if you were playing it at home on an old NES. 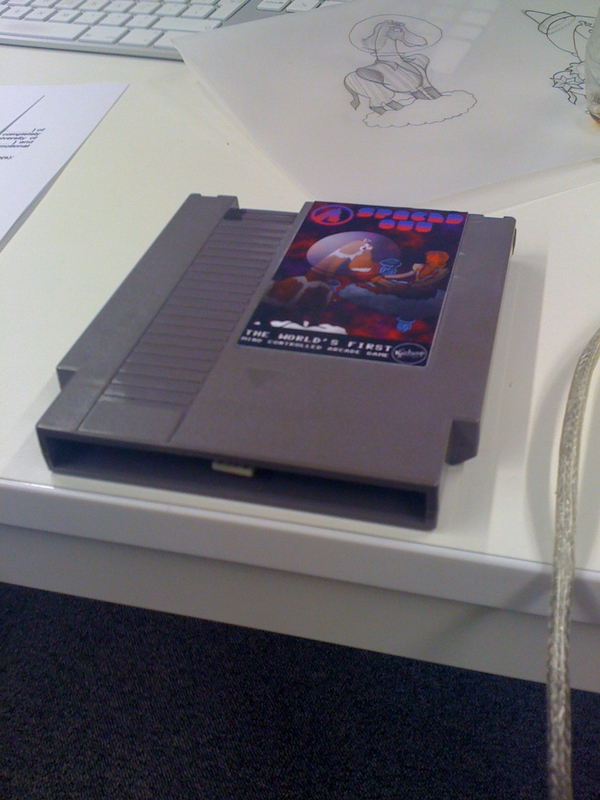 So, I started making the cartridge. 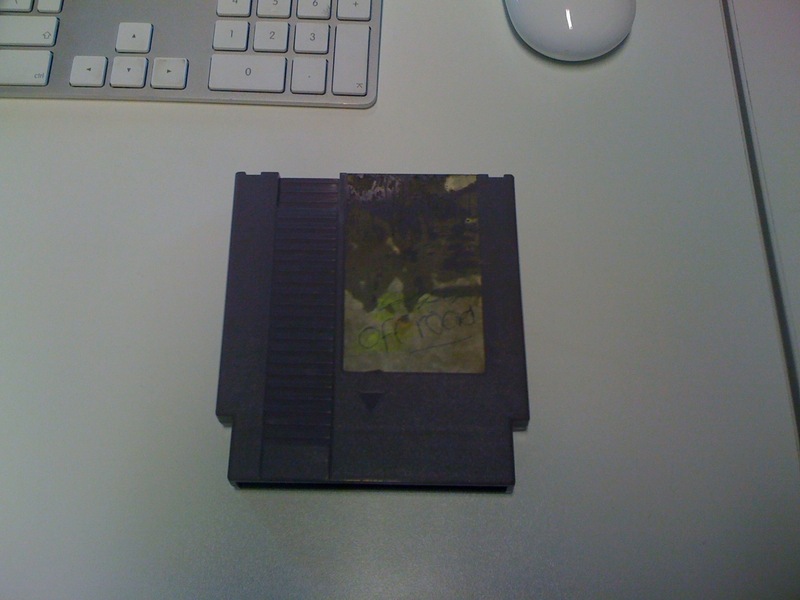 The idea was to get an old USB stick and plant it inside a NES cartridge and replace the label on it. Thus creating the illusion. 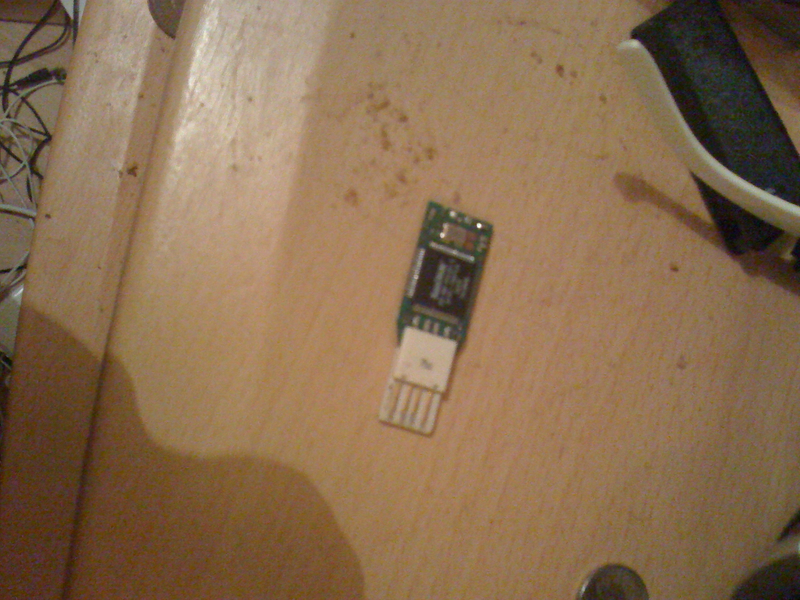 As you can see, i’ve just taken out the circuitry of the NES cartridge and replaced it with a flash drive and then added my own label. Simple stuff but it looks pretty. 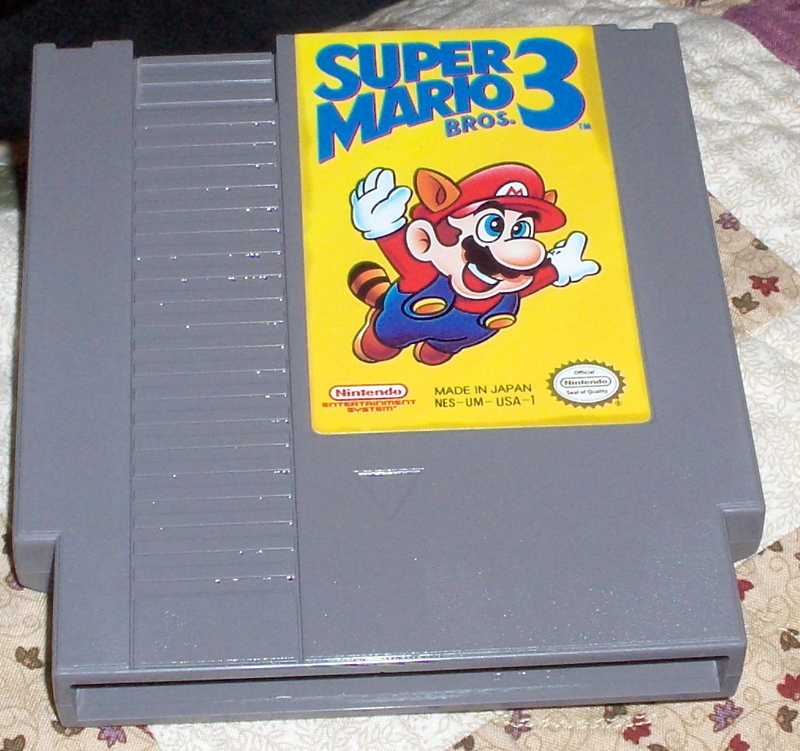 As far as the graphics go, I got a vague idea of what the old NES labels looked like by looking around on google. This was a challenge for me as I don’t really have any first hand knowledge of NES games. I’ve never played a single one and I don’t have much of an interest in playing the old games. I just think they are packaged nicely. I like the fact that they come in huge, oversized cartridges and big boxes. Gives it some nice feel to it. So, I went ahead and made my label. 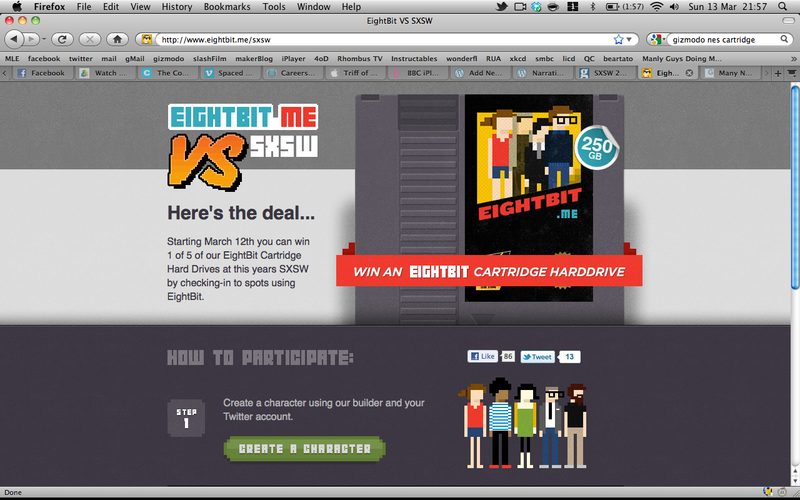 I showed this to my flat mate who is a big fan of NES games and has a large interest in them. He could believe it was a real game. It passed the test. It all boiled down to some key notable features really. The logo goes up top in big letters, followed by artwork in the middle and then some seals of approval at the bottom. I just replicated this layout in my own fashion and the rest writes itself. 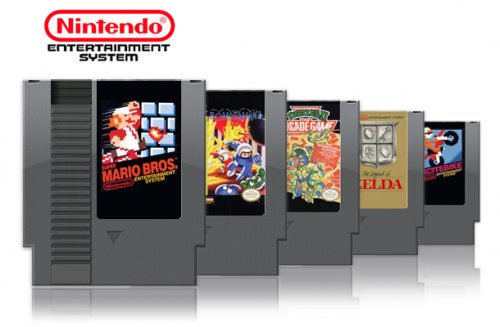 The layout seems to be used by all NES games, so it seems odd to break that trend. 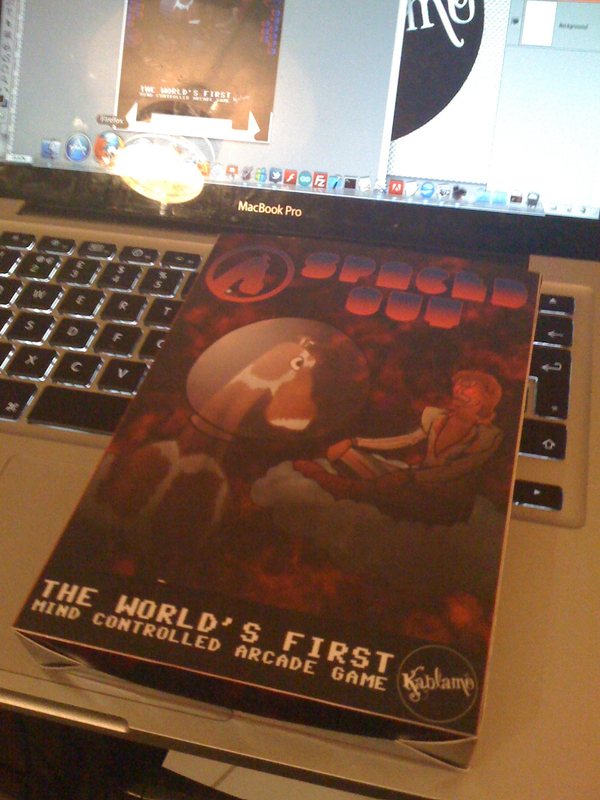 Next, I thought it would be fitting to create the box that it comes in. Why not? it just adds to the fun for me. I like creating details like this. 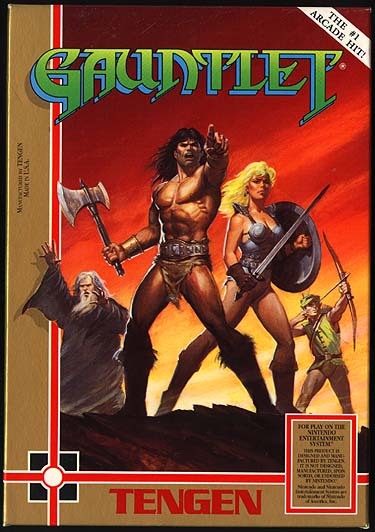 I looked around for NES box art, and again it came down to an overly similar formula. Especially with the “newer” NES games that used artwork rather than in game art. These to me remind me of the old PC games from my childhood. 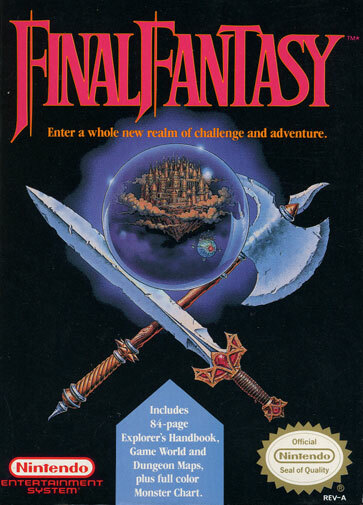 Big fantasy art that made the game seem so magical and impressive when all it was was some poorly rendered pixels. It’s all about the illusion really. Once again, this used big title, artwork then seals of approval combo as seen on the label. I reproduced this, put my project about text on the back and printed it off. In real life its just wonderful to hold. Looks proper professional like. 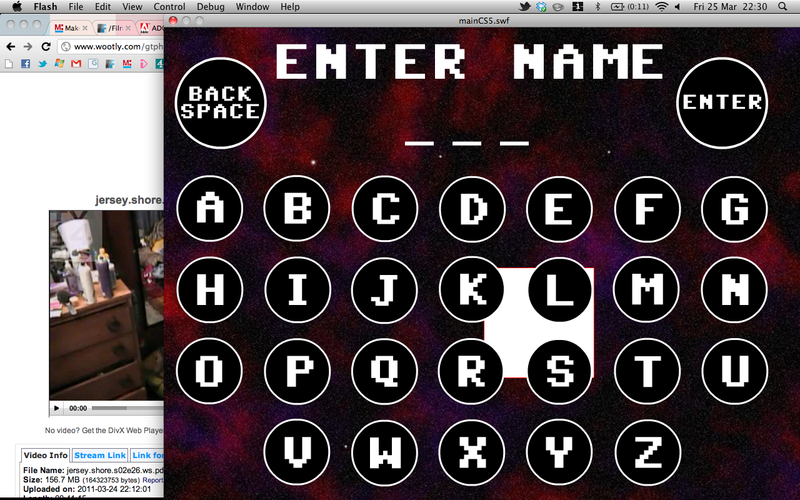 Also, I’ve been putting all the features into my game together. And here’s a nice little video demo of what I’ve done so far. Spaced Out Trailer from jon reid on Vimeo. I need to come up with a better way of loading the NES cartridge, fix the sound effects, iron out bugs in the eye track calibrating, handling of winning and losing and restarting. Oh, and make the head gear look pretty. And make the booth to sit in. Only a few things then.